The long awaited 2016 is here at last. It is much awaited because at the beginning of the year, it appeared as though the end will not come. As the end of the year 2015 finally came, we welcome the new Year. For Adoration Ministry Enugu Nigeria, now is the time to take stock of what transpired in the ministry in the past year. In an exclusive interview with Sun Newspaper published on Sunday 27th December 2015, the Editor-in-chief of AMEN Super News, Barr Ike Maximus Ugwuoke recounted the gains of the ministry this year, he recapped some of the major events in the ministry in the past year and reacted to some insinuations made at certain quarters over some actions of the Spiritual Director. The year 2015 has now come to an end, how has it been with Adoration Ministry? Adoration Ministry Enugu Nigeria is moving from strength to strength with God who continues to confirm his dynamic presence in the ministry. 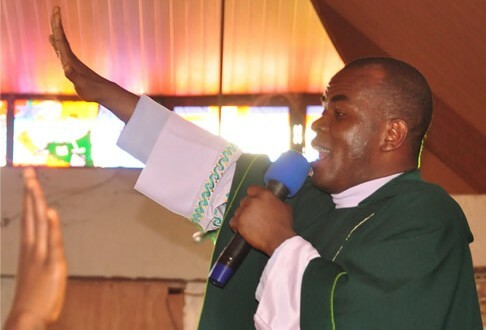 It was a common knowledge that the ministry suffered and Rev Fr Mbaka, its Spiritual Director suffered attack and blackmails at the beginning of the year on the account of the 2014 31st December Night Prophetic message of the Spiritual director that President Mohammadu Buhari would defeat President Goodluck Jonathan at the polls. But God did not only vindicate the Spiritual Director with the victory of President Mohammadu Buhari at the polls but also restored the fortunes of the ministry at alarming measures. For instance the measure of miracles in the ministry had become unbelievable ever since as hundreds of thousands of people continued to give testimonies of the miracle of healing of all kinds in their lives this year, blind seeing, deaf hearing, the dead rising, cancers and tumors disappearing etc. God had doubled the numerical strength of the worshippers in the Ministry in millions that ministry’s programmes had continued to be attended by ground-sinking multitude. God had in this year also continued to increase numerical strength of the ministry with miracles of multiple deliveries that the ministry witnessed this year not less than twenty barren Couples who delivered quadruplets and triplets in the ministry. This is besides the uncountable number of single deliveries. Every Sunday, between ten to twenty children are dedicated in the church by Fr Mbaka. After every Wednesday programme of the ministry popularly known as “E no Dey Again” not less than one hundred children are initiated in the Christendom through infant baptism by Fr Mbaka. In matters of charity which is the hallmark of the Spiritual Director, through the Multi-Life Savers foundation for the less Privileged which is Fr. 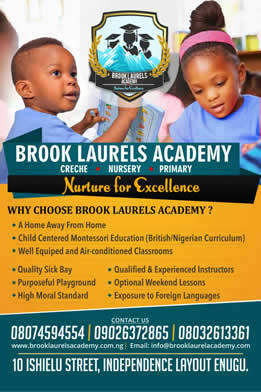 Mbaka’s official charity organization uncountable number of students both within and outside Nigeria that are under Fr. Mbaka’s scholarship received the best care in 2015. The hospital bills of numerous sick persons in local hospitals and abroad were taken care of by Fr. Mbaka in that year. There were many poor people whose house rent was paid by him and many who became landlords and landladies through him. During the Boko Haramic disaster in March and April of 2015, Fr. Mbaka sent trailer loads articles to the insurgent victims in their Camps in the North. He assembled not less than five thousand South-East Igbo returnees and destitute who came home because of the Boko Haram at the North East troubled zone of the Country and organized food items and clothes in trailers capacity and shared to them. Many of their children were adopted by Fr. Mbaka in his Multi-Life Savers Foundation scholarship schemes. By the middle of the year, 29th July when the Spiritual Director of the ministry celebrated his 20years priestly anniversary, it was like a carnival which he marked with the launch of two of his latest musical albums Chima Akonam and Ikuku Oma” which were inspired by his experiences of the battles he faced this year. The chronical of all that the ministry passed through over the said 31st night message, who said what? And who did what? are documented by AMEN Super news in a four volumes of CD tilled “ORACLE OF THE HOLY SPIRIT” vols 1 to 4. Also for the first time an attempt was made to trace the life story of Fr Mbaka in a home Video tagged NWA IKUKU PARTS 1 -4 staged by AMEN Talent Hunt. The said home videos are out and to selling now as the group prepares the continuation of the story line this year. As the year began to wound up about the month of October, Some mischief makers began to spread the rumour that Fr. Mbaka had called for the division of the country. The source of this information was traced to one of Fr. Mbaka’s prophetic message titled “Prophetic Breakthrough” which he delivered many years ago (precisely in 2010) during the past administration when he was appraising the then contemporary leadership failures of the administration and the attendant moral and infrastructural decadence, poverty, political impurities, insecurity in the North and the marginalization of the people of Niger-Delta. 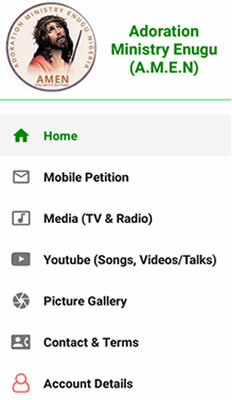 Some political agents had to cut out what Fr Mbaka said in two minutes out of the over ninety minutes video message he preached many years ago and began to spread it like wild fire in you-tube and other social media quoting it as the position of the cleric on Biafra and his support for the division of Nigeria as though it was his recent message. This Prompted the swift statement issued in the Sun Newspaper of 12th 2015 distancing Fr. Mbaka from the insinuations. Fr. Mbaka’s message “Hope for Nigeria” which he delivered at the wake of that insinuation generated another round of attack and unhealthy criticisms especially by some purported Igbo Leaders. In area of job creation, through the industrial acumen of the spiritual director, he initiated a farm project, the Wonderland farm, Aqua Rapha juice manufacturing and Adoration online Radio that have generated employment to a good number of people adding to the thousands of youths and graduates under his salaried employment. What can you say was the most challenging period for the Ministry? It depends on the period of your assessment. For all we know Adoration Ministry had gone through many challenging moments in the past on the account of the Prophetic messages of the Spiritual Director and God had continued to make him victorious in the end. Recall want happened during the administration of Chimaroke Nnamani, one time Governor of Enugu, when the Spiritual Director of the Ministry delivered the Prophetic message titled “This Wicked Generation”. His life did not only come under threat but he faced real assassination situation by hired assassins who fired several bullets at him but instead of the bullet penetrating him, they were received by the Bible in his car. About 14 worshippers were killed in the ministry prayer ground with poisonous gas at that time. There were petitions against Fr. Mbaka here and there and a wide spread call of his sanction and close down of the ministry. It was such a challenging period in the ministry but the ministry survived it. There were many other challenging periods that I wouldn’t want to go into because I know you would be more interested in the contemporary. I would say that of recent, the Prophetic message of the Spiritual director of the Ministry on December 31st night of 2014 titled “From Goodluck to Badluck” wherein Fr. Mbaka had prophesied that the then incumbent President Goodlock Jonathan will not return to seat of the presidency and that President Mohammadu Buhari will defeat him during the 2015 General election posed one of the greatest Challenge to the Ministry. This was because the prophesy came at such time as it appeared impossible, going by the factor of power of incumbency and every know political permutations that were at the disposal of Goodluck. Fr. Mbaka and the Ministry came under sharp satanic criticism immediately after that prophesy, His life came under intense threat and danger with many political swords drawn against him and the ministry. Some of the worshipers and even some of his close friends deserted the ministry. He was accused of receiving bribes, he was accused of having an oil block, and others said that Buhari had led a high powered delegation to bribe him before the message when in actual fact he had never had any previous contact with Buhari before that Message. Fr. Mbaka was branded a political priest with people making caricature of his name in the print and social media. Clarion calls of his sanction and close down of the ministry were made by many political agents and even some members the church Hierarchy that was meant to protect him. His Bank account was placed under scrutiny by federal security agents. The fate of the ministry hung in the balance. It was either that prophesy of 31st night came true for the ministry to survive or it came false for the ministry to go into extinction. In the end, the Holy Spirit in whose name he prophesied the message vindicated him and the ministry as the prophecy came to pass. Close to the general elections, there were threats to Fr. Mbaka’s life, have his traducers‎ left him now? How is Fr. Mbaka supposed to know if his traducers had left him? I think it is the traducers that would tell us if they have left him. But for all we know there are people that do not like anything good. There are satanic agents looking for the slightest opportunity to destroy the good works of God. Even when it appeared your enemies had withdrawn you never can tell their next strategy. That is why the scripture says we should be vigilant for our adversary the devil sprawls around seeking whom to devour. To say that Fr Mbaka’s traducers had left him is to deny that obvious fact. Fr. Mbaka had not stopped his crusade for the defence of the poor masses which is his covenant and vow as a priest to be on the side of the poor. This is the only thing that had brought him in constant clash with the leaders. The oppressors of the poor of course you know are the rich and the rich we know in our society today are the political class. It is his defence for the poor masses that usually bring him to clash with the rich. So you can be sure that he will continue to have the enemies that wish him the worst as long as there rich would continue to trample on the poor. But the good thing is that his adversaries are in the minority and they can never destroy him because God is with him. Majority of Nigerian love him. We need more Fr. Mbaka’s in Nigeria. We love him for what God is using him to do among us. We saw the wife of President Buhari visiting Adoration Ministry the other time she came to Enugu for a programme, but after the visit we heard that Fr. Mbaka gave her a Bible and she rejected it, how true was this claim? The truth is that the wife of President Buhari visited Fr. Mbaka but what you heard that Fr. Mbaka gave her Bible and she rejected it was a lie from the pit of hell. Why should any right thinking person believe that? Is Mrs Buhari not the wife of President who is a president of Christians and Moslems in this Country? It was the rumour spread by those very people who had sold to us the campaign dummies and propaganda that President Buhari has an agenda of Islamizing Nigeria to water down the terrible blow dealt on the past administration by Fr. Mbaka’s message of Divine choice of Buhari to salvage the country from monumental corruption, insecurity, unemployment and poverty that had bedeviled the nation. The truth is that Fr. Mbaka did not only give Mrs. Buhari a Bible during her visit, he gave her a bag of Bible which she received for herself and others that accompanied her with cheers. He also gave her cartons of Rapha Extra virgin anointing oil among other presents which she received with cheers and appreciation. Pictures taken at that occasion is there for anyone that cares to see. That Fr. Mbaka gave Mrs. Buhari bible and she rejected it was a cheap rumour which some political agents contrived to achieve two ends. First, to portray the first family as religious bigots just to instill and perpetuate an anachronism of hatred for them by Christians and secondly, to scorn Fr. Mbaka and ministry for associating with them. What people do not know is that Fr Mbaka loves everybody. He doesn’t discriminate. He is pragmatically and spiritually interdenominational and inter-religious. Again, Fr Mbaka visited President Buhari recently at Aso Rock and again there was this speculation that he requested for the visit and that the president used it to settle him, can we know how the visit came about and what transpired in his meeting with him? Is it a crime for a man of God to visit the President? Apart from being a priest and an anointed Prophet of God is Fr. Mbaka not a Nigeria? If yes, has he no right to enter our Aso Rock (the Presidential Ville). For visiting Mr. President has Fr. Mbaka done what is unscriptural? In Exodus 5, did Mosses a Prophet of God not visit Pharaoh in his seat of Power in Egypt? Did Samuel not visit Saul in his seat of power In 1st Samuel 15? In 2nd Samuel 12, did Prophet Nathan not visit David in his seat of power? Did we not read about Elisha and Ahab in the Scriptures, in 1st Kings 17? In Act 10 did Peter the first pope of the Church not visit Cornelius in his house? Did we not read in the Bible that even Jesus himself left heaven and came to man on earth? Is it not the hallmark of a real and humble anointed man of God to do what the biblical prophets did? We wonder what those who insinuation of what transpired at the meeting of Fr. Mbaka and Mr President are poke nosing for. Did Fr. Mbaka himself not answer their questions in the interview he granted the media at the visit when he stated that he had come to bless Nigerian and Pray for their peace? This was aired in Channels, AIT and published in some media. Those who say that Fr Mbaka came to be settled by Mr President or that he came on Biafra Agenda are on their own. Like I said Fr Mbaka is not new to such accusations but one thing is clear, Fr Mbaka is not a “Ghana-must- Go -Prophet”. Even his accusers know this fact and that was why I said earlier that they make those speculations out of sheer envy and chronic jealousy. The Adoration people worldwide know who Fr. Mbaka is in matters of morals and chastity and we are happy with him. He is such a man that practically lives a life of fasting and outpouring for the needy. Nigerians are happy with him. We continue to appeal to him not to leave Mr. President to fall into the hands of hawks and vultures. We urge him not to mind the accusers and the critics but to keep praying for Mr President as a product of his Prophesy. His detractors are just looking for a way to ensure that President Buhari fails so that they would face Fr. Mbaka. We urge him to keep blessing Nigeria and the Nigerians. The youths are happy with him, so we urge him to keep speaking for them as well. We urge him never to keep quiet or succumb to the pressure of the unhealthy critics. The Poor masses depend on his representation and so we implore him to remain the voice for the voiceless and hope of the hopeless. We have observed that the presidency has established this link with Adoration Ministry, the wife of former President Jonathan was here and now Buhari’s wife, do you think the messages they take away‎ from the Ministry as they visited have in any way shaped their lives when they returned to Abuja? Fr. Mbaka is like the Sower in the Parable of Matthew 13. He sows the word of God in the lives of anyone that comes around him at the least opportunity. During the visit of both the wife of former President Jonathan and now Buhari’s wife, he prayed for them and sowed that Word in their lives. How the word shapes their lives is left for them and their maker. It is not for Fr Mbaka or us to assess them. Every sower of every seed discharges his duty by sowing the seed and watering it, how it grows and germinate are beyond his making and explanation. Finally, what is the mood of the Adoration Ministry this Yuletide as the people expect Fr. Mbaka’s end of year message? Your guess is as good as mine. 31st December Night is a date we all look forward to. It is an annual ritual of the ministry to receive the end year message and the message of God for the New Year at such period. The Ministry just concluded its annual Crusade that held from 17th to 20th December 2015. The atmosphere is already charged with verifiable testimonies of people who received multifarious miracles during the three days spiritual exercise. Such is usually the kind of atmosphere that lingers in the ministry prior to the 31st night. One thing spectacular about the 31st night message is that you can never predict what Fr. Mbaka’s message at such nights would be but they would always come true in the end. His message of 31st night of last year is a case in point. That was not the first of its kind but it was the stock of its kind to quake the nation and generate heated controversy. May be because it was it came at the election year. So come this year’s 31st night, we just have to be there to receive the message and take it as it comes. One fact you must know is that Fr Mbaka cannot say what God had not told him and will not hold back what God had told him to say. The ministry is so much concerned about the comfort of the crowd that would come from all over the world for that programme as it is usually the night the ministry witnesses the highest crowd of worshipers.